It took me a little while to get to this, after hearing the news, but it saddens me to write that Shizuka Miura passed away at the end of January. Her music will live on, of course, but it’s still such an unexpected shock… Especially because it was a suicide. Apparently it may have been due to medication, but at this point we’ll simply never know. 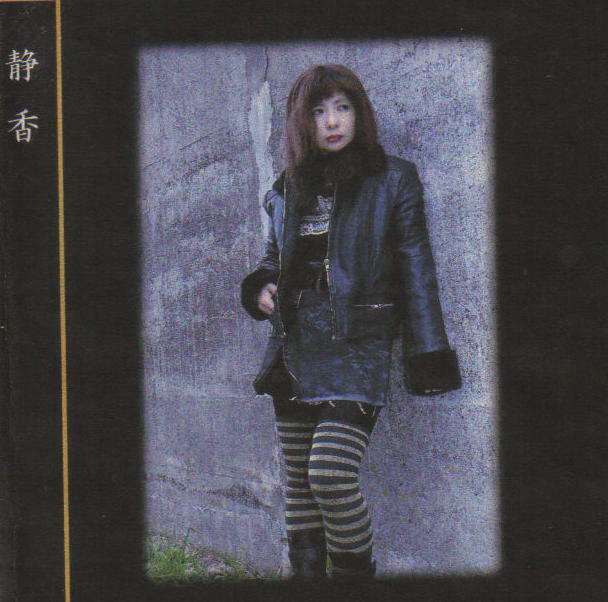 I first met Shizuka and her then-husband Maki Miura in the 90s, when their first Shizuka CD, Heavenly Persona, was released by PSF Records, followed shortly thereafter by the Live album from Persona Non Grata here in the U.S. I organized a couple of shows here in San Francisco for the band shortly after that, and quickly discovered how lovely both of them were. The other members of their band varied, but the two of them were the voice behind the band: Shizuka’s delicate, almost timorous vocals and softly-strummed guitar mixed perfectly with Maki’s intense playing, which would explode into some of the greatest psychedelic shredding this side of Fushitsusha, with whom he played in the past. I should also note that despite Shizuka’s somewhat timid stage presence, she was actually a very strong person: this wasn’t Maki’s band, it was truly hers, even though it wouldn’t have been what it was, of course, without his remarkable playing. The band never became nearly as well-known as they deserved over here. Partly it was that they found touring to be very trying, and suffered health issues that kept them at home at a time when other bands were touring constantly. Partly it was also that they never had the money to go on tour extensively. For whatever reason, I’m always surprised when people who are now fans of Acid Mothers Temple, LSD-March, and Suishou no Fune have never even heard of Shizuka. Thankfully, you can still buy Heavenly Person from PSF: go here. And here’s my nudge-nudge that someone should really look at reissuing that album or another, with wider U.S. and European distribution. Not too many people know that Shizuka was also recognized in Japan for her doll work. She studied under master dollmaker Katan Amano, and made some stunning, haunting dolls. Years ago when my wife was researching modern Japanese dolls (partially for an article I published in Ongaku Otaku magazine), Shizuka and Maki very kindly invited us to their apartment, where we visited them and got to see a number of Shizuka’s dolls, which were seated all around the small living room. They were beautiful creations. I have a number of photographs and cards of the dolls, including some small handmade framed pictures from Shizuka, which I’ll try to scan here shortly for another post. Rather than just posting an mp3 here, I think it’s better to provide a link to one of the few videos I can find online of Shizuka live. Enjoy. ~ by masonoise on February 15, 2010.
really sorry to hear this, quite enjoyed that live cd. damn. When I heard about Shizuka’s death, I was deeply shocked but just felt unreal. It took me a while to suddenly have this feeling “OMG she really is gone”… And I was literally crying, as I personally know her. She was such a unique, pure, kind, strong-willed, and beautiful person… Shizuka will live forever in my heart. R.I.P. I was living in San Francisco in 1997, i had the lucky to see them, it was in front of a nice cinema, there where many people, i was in one of the shows of shizuka! i remember very well how it was, i love shizuka so much! and i bought the pictures of the dolls that i have in my memory box! i just type the name today and woH !